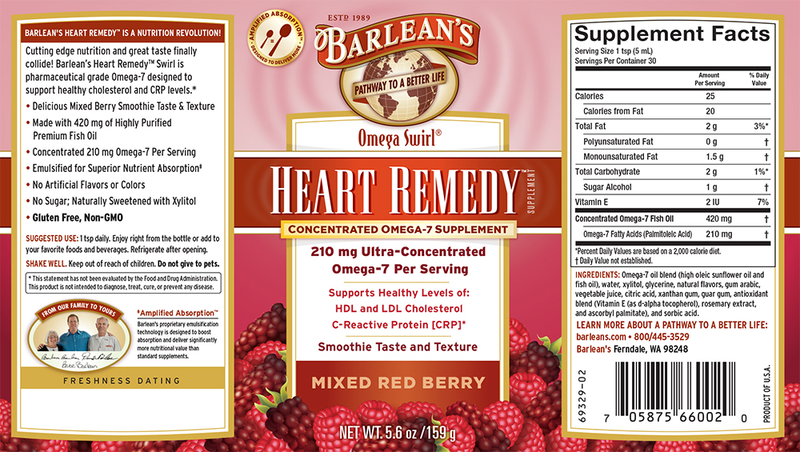 Barlean’s Heart Remedy™ Swirl is a purified, pharmaceutical grade Palmitoleic Acid Omega-7 designed to raise HDL (“good”) and lower LDL (“bad”) cholesterol levels. 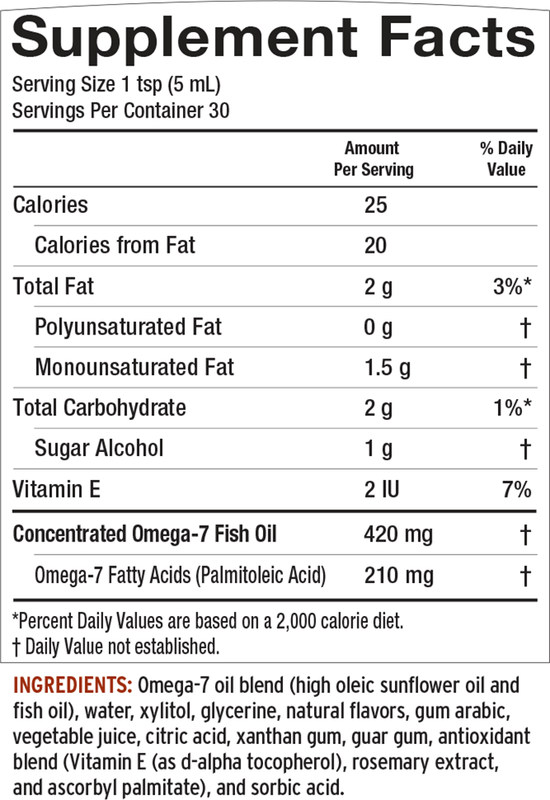 Omega-7 also impacts C-Reactive protein (CRP) Index, the measurement of inflammation in the body. A high CRP level is a strong risk factor for heart disease because it can indicate inflammation in the arteries due to plaque build up. Heart Remedy™ Swirl has the delicious taste and texture of a mixed berry smoothie and utilizes our proprietary Amplified Absorption™ emulsification technology designed for superior nutrient absorption.